Many people prefer to rent a beehive rather than purchase one. Some might want beehives for pollination services. Others may want to try beekeeping before making the commitment to own a beehive. New beekeepers need to understand honeybees and the colonies in order to secure the hive's survival. 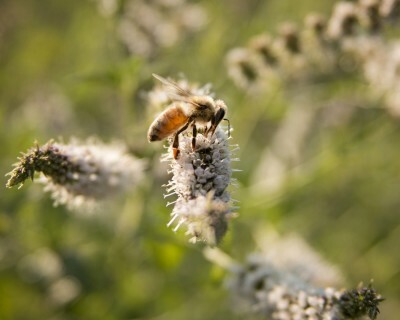 A healthy hive in mid-summer will have approximately 30,000 bees! So even with a rental, a beehive is a commitment to your garden, the environment and also to the hive itself. We prepare the hive(s) on your property and the installation is designed to make the honeybees’ job of taking care your property easy. 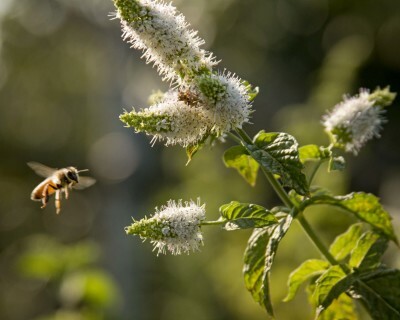 The hive also has to be protected from family pets, children’s play areas, excessive sun, moisture, and any other detrimental elements so it may flourish naturally. 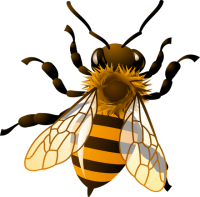 Hive rentals are usually done for a specific crop or the pollination of a garden. 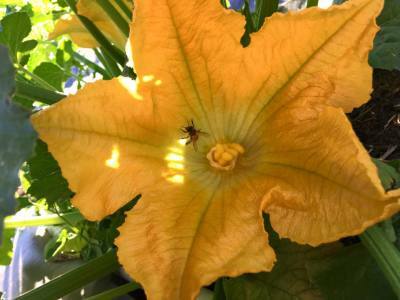 Honeybees have outstanding pollination abilities and are ideal for backyard gardens and small acreage farms. 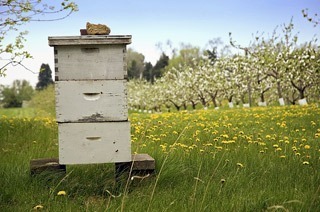 Honeybees are normally available for rental from the end of April until August. We offer maintenance and regular check-ups of the hive which are included in the price. Commercial land owners looking to pollinate their fruit trees, vine crops, and berries. Gardeners and local producers with small acreage farms. We will also work with clients on a rent-to-own basis. *prices and time frame vary depending on the crop and location.